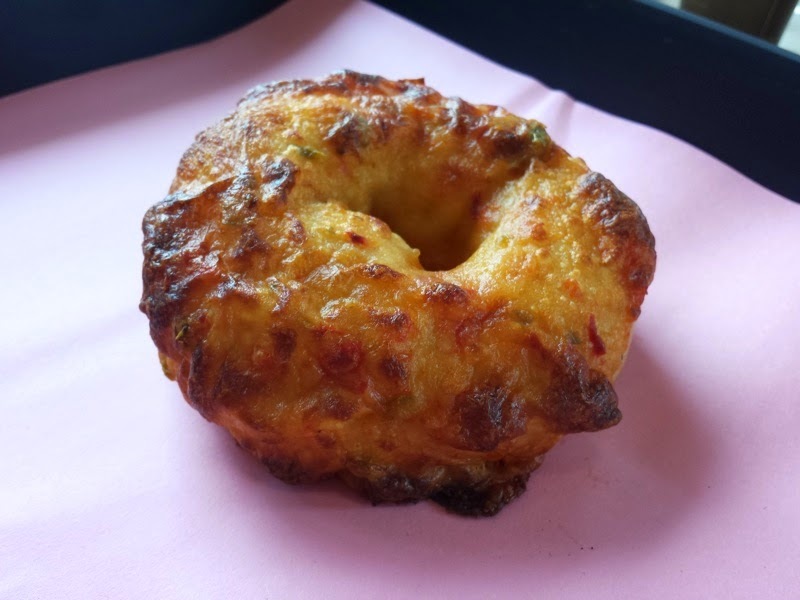 I was invited to the Dunkin' Donuts in Winter Park on University Blvd to try some of the new Fall foods on their menu. I'm always a fan of pumpkin flavored stuff, so I was looking forward to trying some of their seasonal menu items. 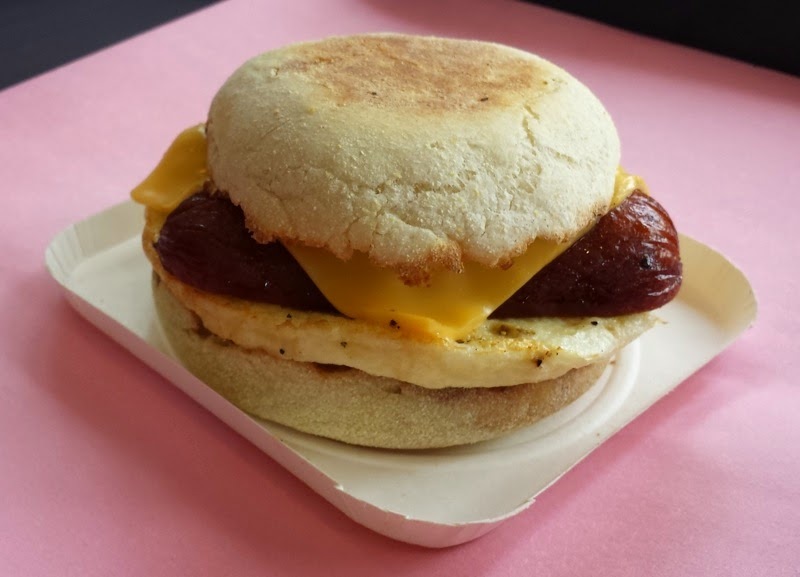 The Spicy Smoked Sausage Breakfast Sandwich was the first food item which was sampled. This consisted of a spicy split sausage link with egg and American cheese, served on an English muffin. 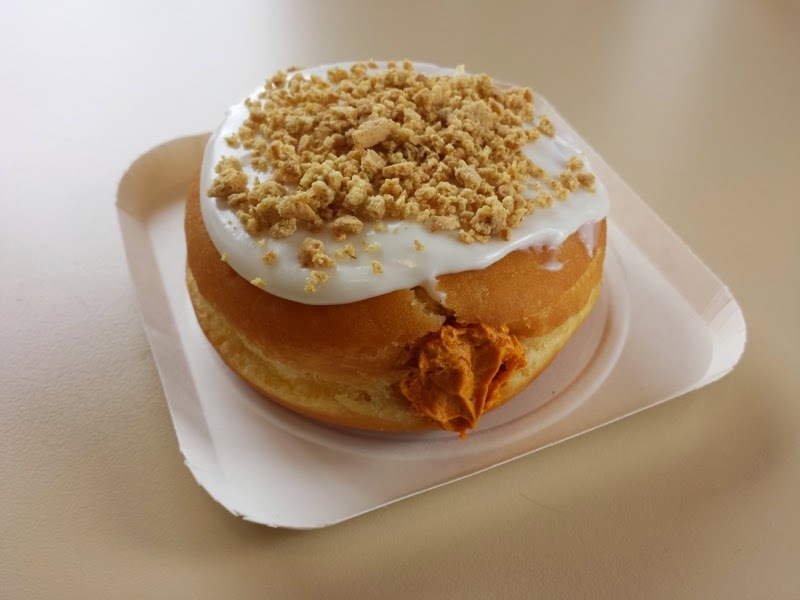 The Pumpkin Pie Donut came next. This doughnut was filled with a pumpkin pie flavored buttercreme. It was frosted with white dipping icing and sprinkled with grahmn cracker topping. This was good, but the filling and icing was very sweet. 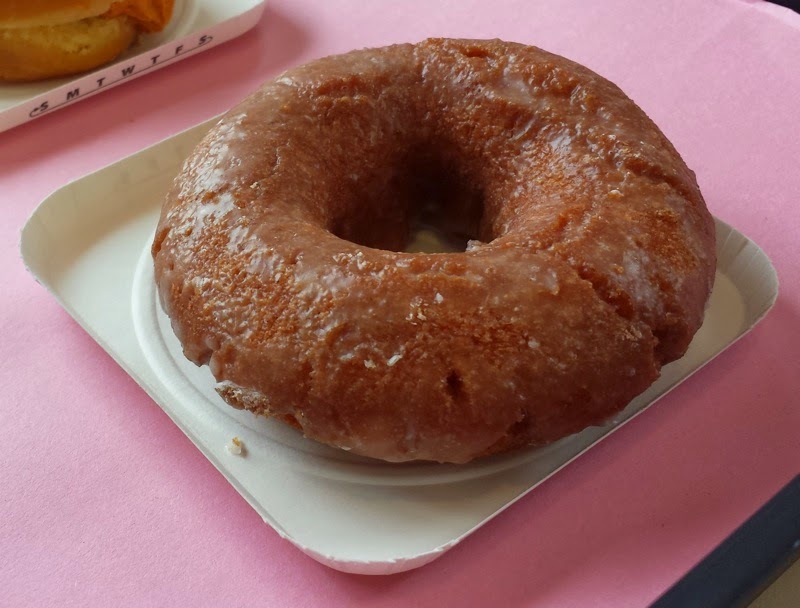 The Pumpkin Donut wasn't nearly as sweet as the Pumpkin Pie Donut. Out of the two pumpkin flavors, I preferred this doughnut. 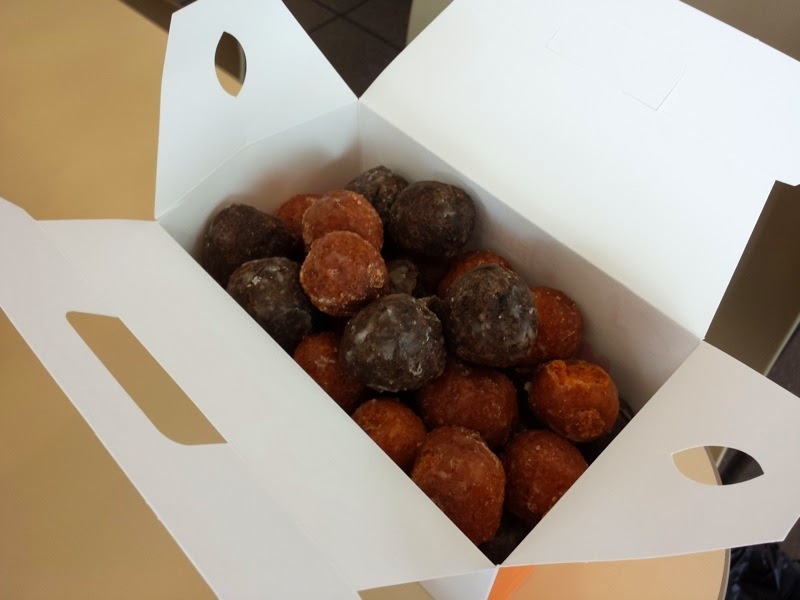 While on the subject of doughnuts, I was also able to try the Pumpkin Munchkins. Same as the pumpkin donut, only in a much smaller size. 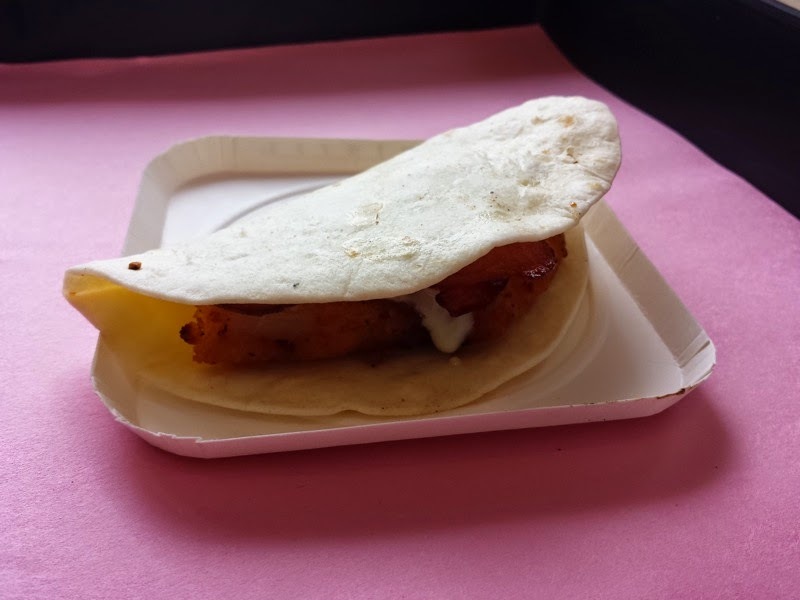 The Snack 'n Go Chicken Wrap was filled with chicken, bacon, and ranch in a folded tortilla. The Pepperjack Bagel Supreme was a bagel smothered in melted pepperjack cheese. The cheese had a nice, spicy kick, which I enjoyed. This was spicier than I was expecting from a fast food restaurant. 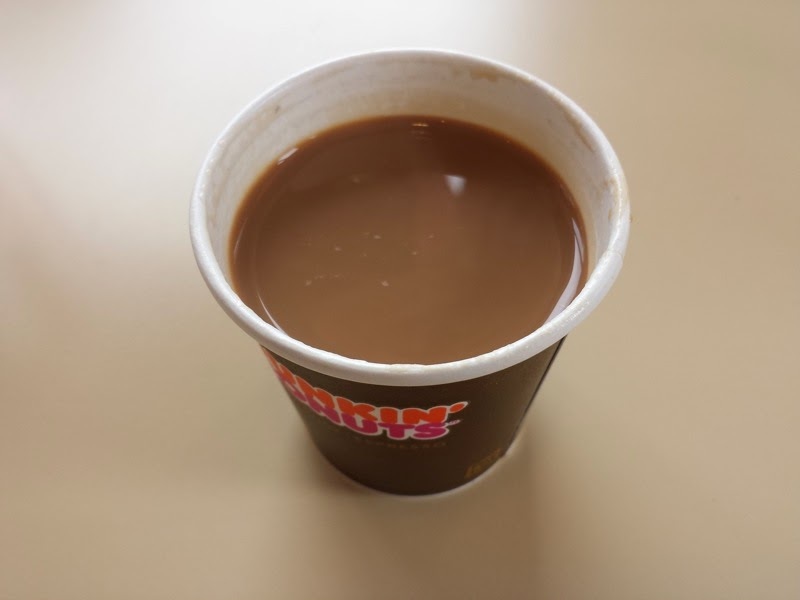 Dunkin' Donuts also served several varieties of their coffee. We tried their Dark Roast Pumpkin Coffee, Hot Pumpkin Mocha Latte, Pumpkin Creme Brulee Latte, Iced Hazelnut Swirl, and the Iced French Vanilla Swirl. I'm more of a tea drinker and not much of a coffee connoisseur, so I'm not the best judge of good coffee. The Hot Pumpkin Mocha Latte was my personal favorite. It tasted much more like a hot chocolate than a coffee to me. 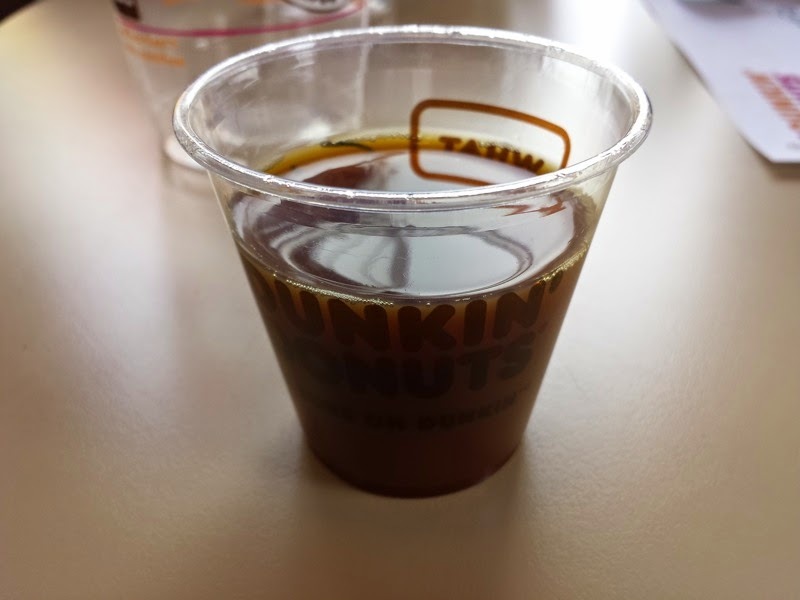 Being that Dunkin' Donuts served coffee at their sampling event, it is appropriate that today, September 29, is National Coffee Day. 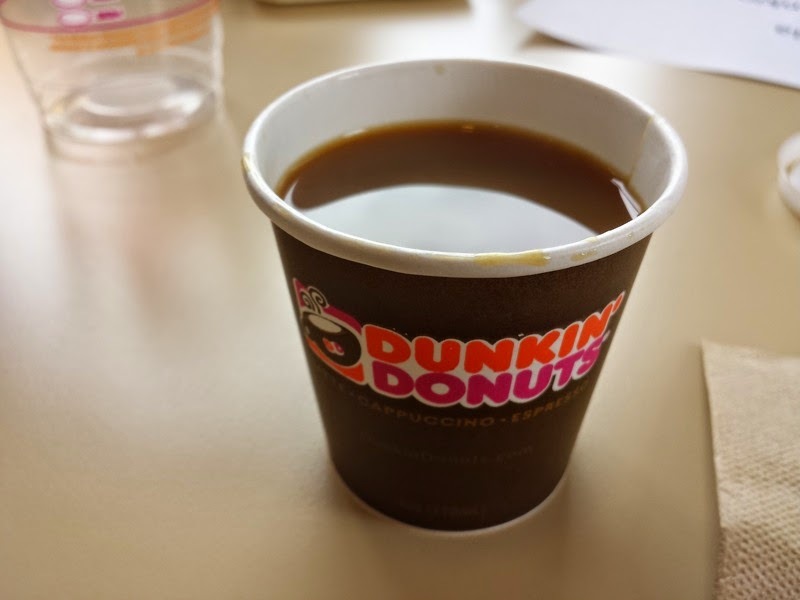 That means Dunkin' Donuts is giving away a free medium cup of hot Dark Roast Coffee at all of their participating Orlando stores! Go get your free coffee! 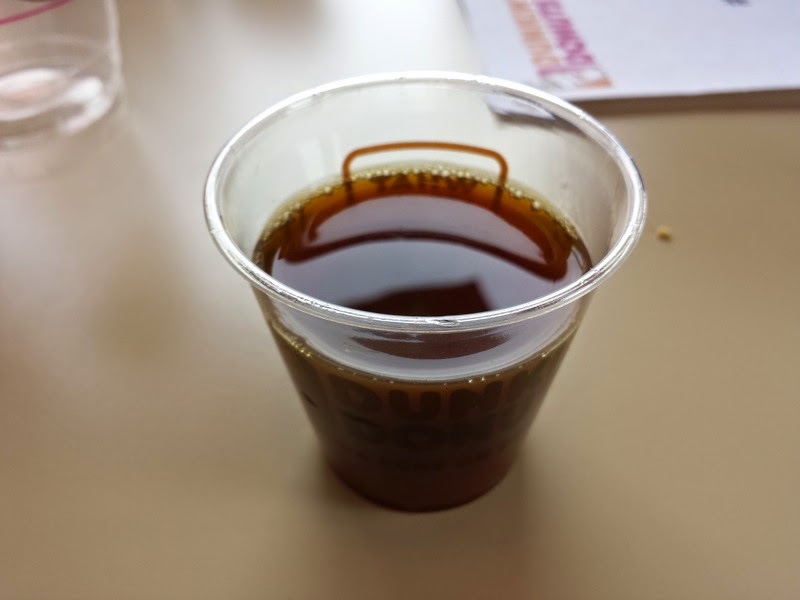 I had fun trying the foods at Dunkin' Donuts. I vote that they bring back that pumpkin cream cheese that was served a couple years ago which wasn't brought back this year. That was my favorite pumpkin flavored food that I remember trying at Dunkin' Donuts in recent memory. I had lunch at Smokey Joe's BBQ in Sanford (not to be confused with Smokey Bones right up the street). This restaurant took over the space formerly occupied by Boston's Fish House. I wasn't a big fan of Boston's when they first opened but their food did seem to improve over time. I guess everyone's bad experiences when they first opened stuck in people's minds because they eventually closed. Now it is Smokey Joe's turn to try their luck at running a restaurant in this location. 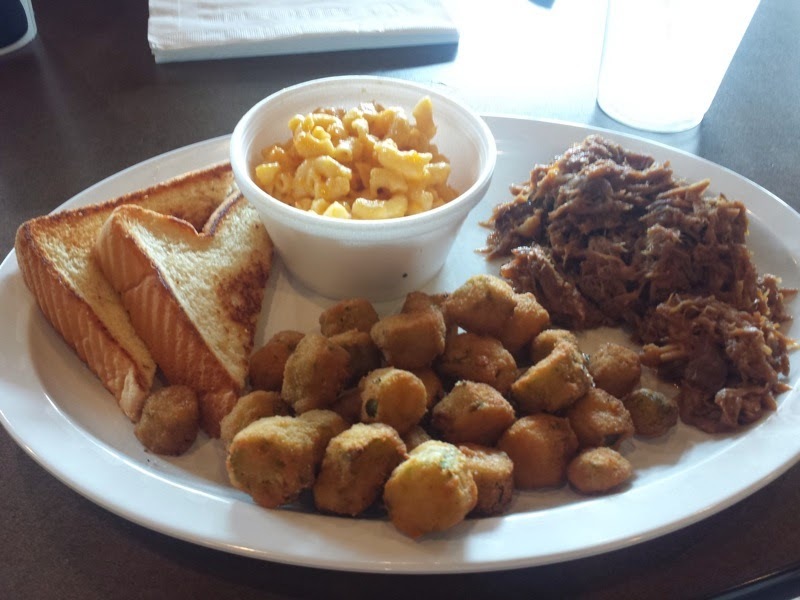 Normally barbeque restaurants are have pretty standard fare, and Smokey Joe's was no exception. They had plates where a meat and sides were chosen. There were sandwiches. Pretty much what you would expect on the menu for a place serving barbecue in this area. I had the Pulled Pork Plate. This came with meat, two sides, and Texas toast. I picked the mac & cheese and fried okra as my sides. Everything looked good, but I was less than pleased after tasting the food. With the exception of the okra, none of the items on the plate were hot. In fact, just about everything was about room temperature. This made me a bit wary, especially when it came to the pork. It tasted alright, but was nothing noteworthy. The mac & cheese was served at a similar temperature and lacked flavor. The cheese part of the mac & cheese was barely noticeable. The fried okra was the only thing which was hot, hopefully because it was freshly made. Unfortunately, the batter was far to salty (and I like salty foods). The Texas toast was also forgettable. I was at Busch Gardens Tampa and ate lunch at a restaurant called Crown Colony House. This restaurant is located in the Egypt section of the park and overlooks the animals in the Edge of Africa section. The Crown Colony House is a cafeteria style fast food restaurant. I noticed this sign while waiting in line for food. I found this a bit amusing. Busch Gardens is really trying their best to make deep fried food sound healthy. 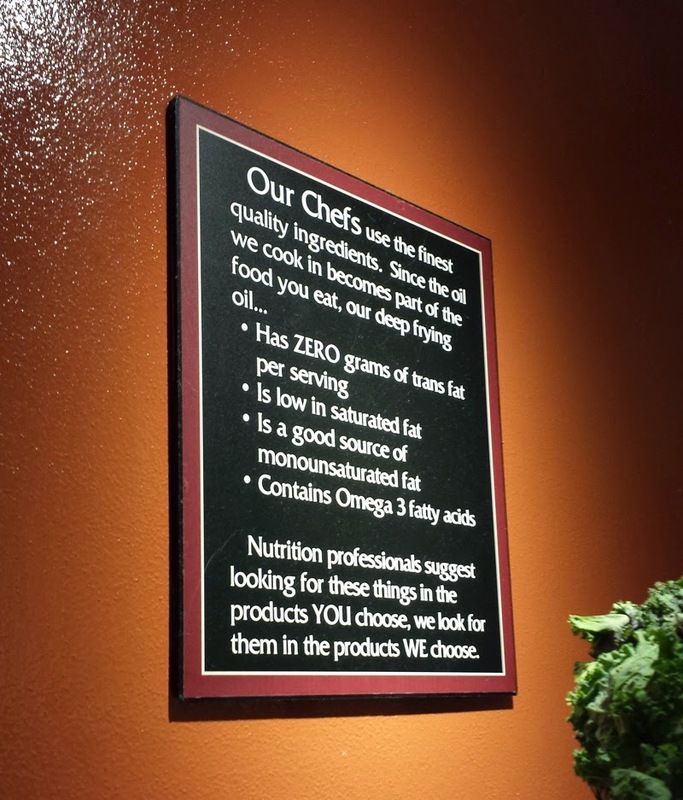 With ZERO grams of trans fat, low saturated fat, Omega 3 fatty acids, and a good source of monounsaturated fat, how could deep fried food be bad for you? Let's eat it every day! Since the oil used in deep frying has all of those pros with apparently no cons, why not indulge? I had their combo with came with deep fried chicken tenders, deep fried french fries, and a slice of pepperoni pizza (not deep fried but not good for you regardless). This was typical theme park food. The pizza was mass produced. The chicken was mediocre, as were the fries. At least I was getting lots of my Omega 3 fatty acids though! I always heard fish was a good source of Omega 3s. Why bother when you can get the same stuff from deep fried foods? Thanks for the education Busch Gardens! 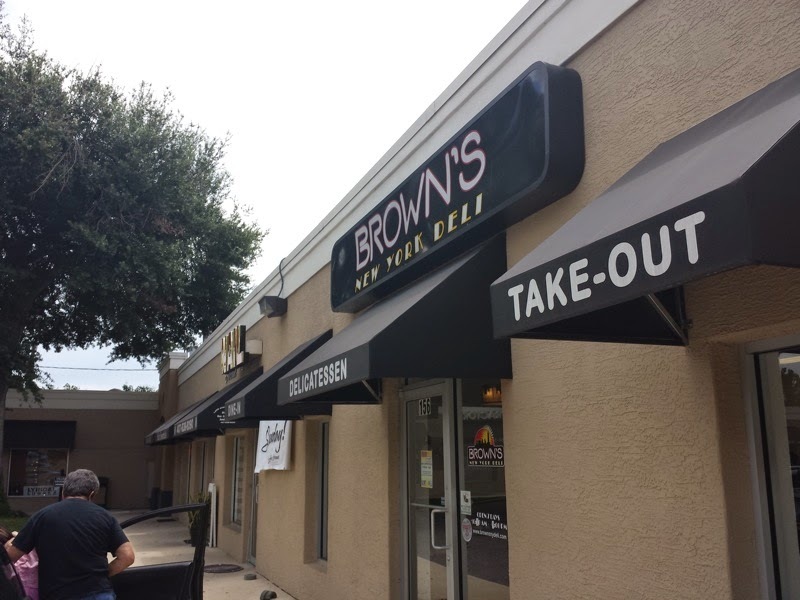 I had lunch at Brown's New York Deli in Maitland. Apparently this restaurant has been here for over a year, but somehow I never noticed them during my countless drives past. 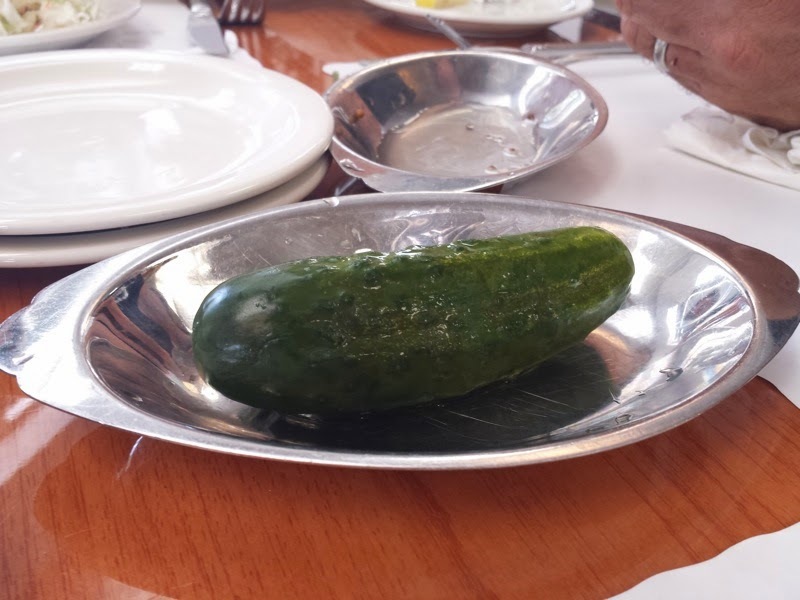 As soon as we were seated, a plate of pickles and coleslaw were brought to the table. 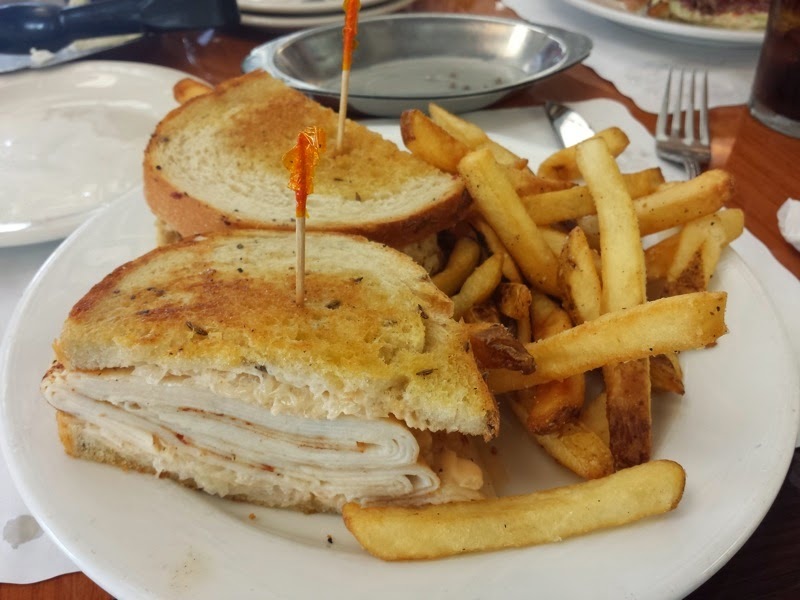 I had the Turkey Ruben for my meal. It consisted of sliced turkey, cheese, sauerkraut, and thousand island dressing on toasted rye bread. Fries were served on the side. The sandwich was good, although it didn't contain the sickening stack of meat that I've seen at some of the more famous delis actually in New York. The amount of sandwich fillings here was much more biteable and more appropriate for one person to eat in a single serving. After the sandwich, meringue cookies were served alongside the check. 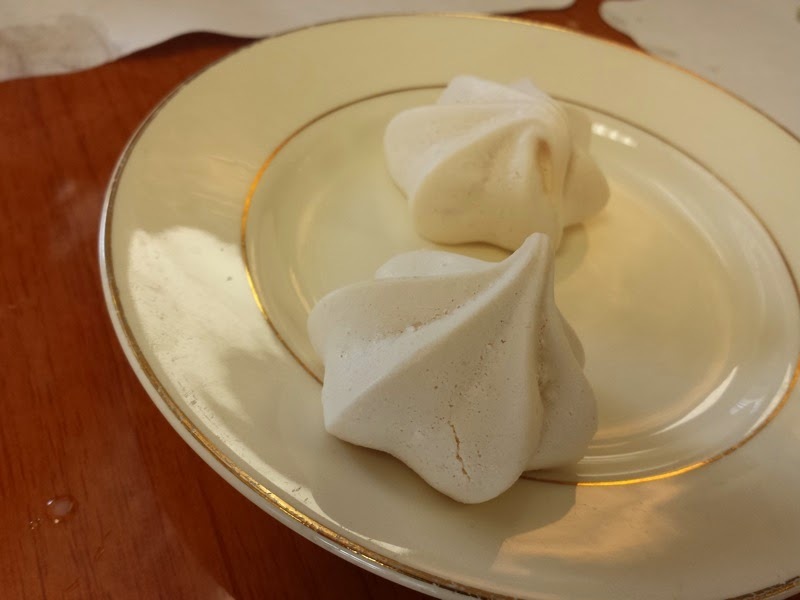 Meringues seem like they are either good or bad whenever I try them. There's never a meringue cookie that is just okay. These meringues fell in the good category. They were light and airy with just the right amount of crunch. 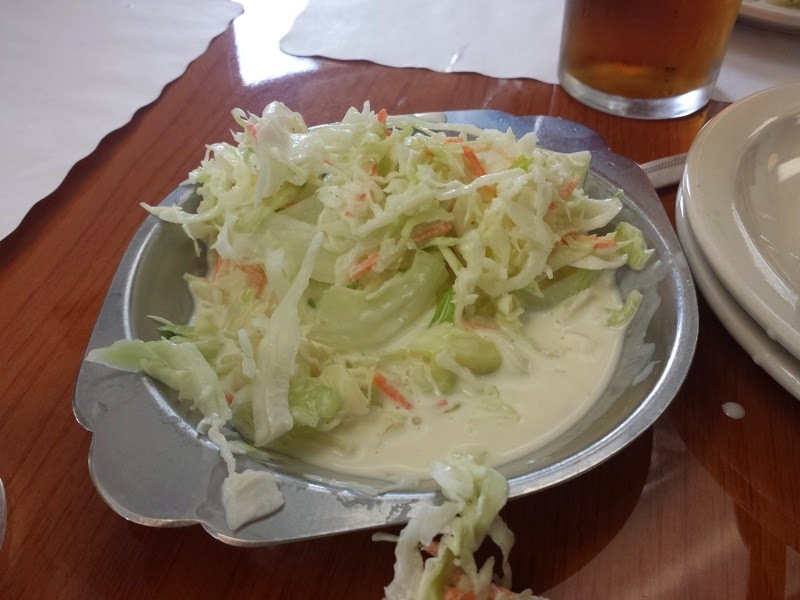 I enjoyed my meal at Brown's. I'd return here again!